Politics is like cancer. Your body fights against itself and it happens all the time, except that it is usually under control. When it goes out of control, it will kill the host. If a country cannot control its politics, it will collapse. Take Thailand for example; polarised by the Thaksin character even until today, it is almost impossible for the electorate to accept whatever party coming into power. The latest victim in the cancer of politics is Britain. 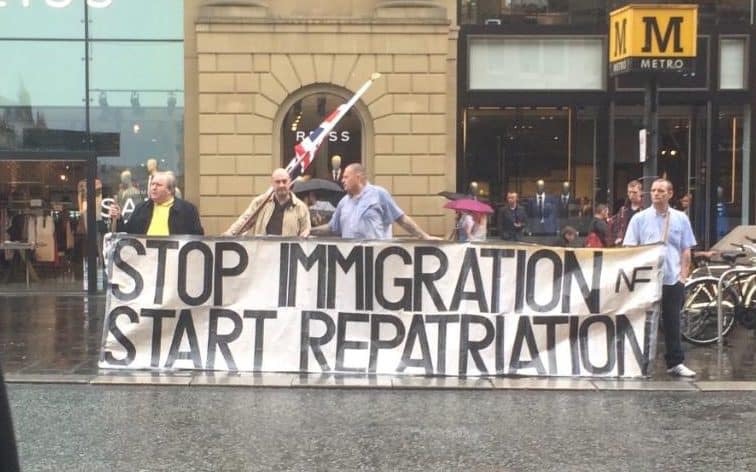 It has divided the United Kingdom and the campaigns run by both stay/leave parties have mutated sentiments out of control. It was a fight between logic and emotion. The electorate is torn between the head and the heart. The head being a vote for bread and butter and the heart being a vote for “independence”. Not only was it a fight on national interests, it is also a political battle. One that wants the voter to root for either David Cameron or Boris Johnson. Not a vote for the national interest. The result of a split country? Racism disguised as national pride has increased. In recent days, reports of Polish community centers being sprayed with graffiti, cards telling people to “get out” pushed through doors, children of immigrants being bullied in schools. Alongside national friction, the UK must also deal with the brunt of economic fallout. The British Pound had crashed. Stocks have ceased trading due to high selloff. Companies are urgently planning redeployment of their offices and headquarters to other countries. Investors are moving their assets to more stable countries. When instability hits the economy, it is the common man..the worker that suffers. Fewer job options and increased unemployment will hurt the ordinary labourer. Regulations that were enforced by the EU and accepted unwillingly by the British Parliament such as the Working Time Directive and various other worker protection regulations see the danger of reversal. The Trade Union Congress of the UK had campaigned aggressively for remain are now campaigning hard for the British Parliament to amend these laws with caution. It is now up to their unions to stand up for fairness and with a precedent of militant fights, the country could be thrown into labour instability. The country needs to urgently repair trust and tolerance. 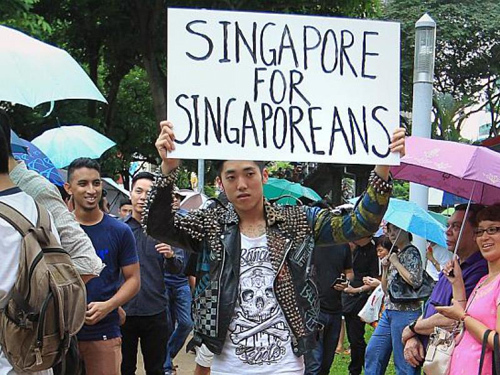 Singapore is not immune from divisive politics. The elections of 2011 showed us how ugly we could become. There were verbal attacks on foreigners, intolerance of all sorts, a growing sense of entitlement and public verbal attacks between supporters of the parties. Every electoral vote calls for a decision to be made. A decision that questions ones discernment between emotion and logic. Humans are, unfortunately, very emotional creatures. When we break into warring factions and fight each other, instability ensues. “I believe that the bedrock of social justice is economic security and stability. If our economy isn’t creating jobs, if wages are falling, if savings are being eroded, then hopes and aspirations are crushed” quotes British Conservative MP George Osborn, also Chancellor of the Exchequer. Whether or not Britain turns out better or worse from Brexit remains uncertain. Even if they do not, they still have an economically strong backyard called Europe to depend on. They still have strong diplomatic relationships with the United States. Thailand is still economically strong despite political fallout. They’re a resource rich nation that understands how to separate economics from politics, lessons learnt from a history riddled with coup d’états. Even throughout politically turbulent times their GDP continues to grow. But Singapore? What would happen to our trading partners if we become known as an intolerant country? What would happen to us if instability led to militant union action and civil unrest? History has given us nations that never recovered from the cancer of political instability. Let us never go the way of these countries.